What is the Best NAS for Home Use? Are you on the lookout for the best NAS device to purchase for home usage? Yes? Then at the end of this article, hopefully, you should have enough information to help you make the best decision. But before then, let’s have a brief look at what NAS is — for first-timers sake. NAS is an acronym that stands for Network attached storage. What this (NAS) does is give users remote access to large amount of data. In simpler words, network-attached storage are external hard drives that connects to a (your) network, in lieu of connecting directly to your PC. This makes your files, documents, media, and whatever you store on them (NAS) accessible/retrievable across any device irrespective of the operating system the device runs on. Think [easily] of NAS as a storage on a network, not a computer. A Network Attached Storage system is built like a stand-alone computer and is made up of a one or more hard drive(s), memory (RAM), a connecting motherboard, and power supply. A NAS system is akin to having a private cloud storage setup for personal, home, or office use. They are cost-effective, flexible, and expandable — you can add more hard drives as your storage needs increases. These NAS devices are mostly used in offices and by small and big businesses. However, they are increasingly becoming popular and used in homes. Hence the continuous search for the best NAS devices for home use. So if you run a home office and you constantly need to access huge amount of data on your network and on the web, listed below are some of the best NAS for home use. From the name, the Seagate Personal Cloud 2-Bay comes with dual space (read: bays) indicating support for two hard drives. In addition, the NAS device offers larger capacities starting from 4 Terabytes up to 8 Terabytes. 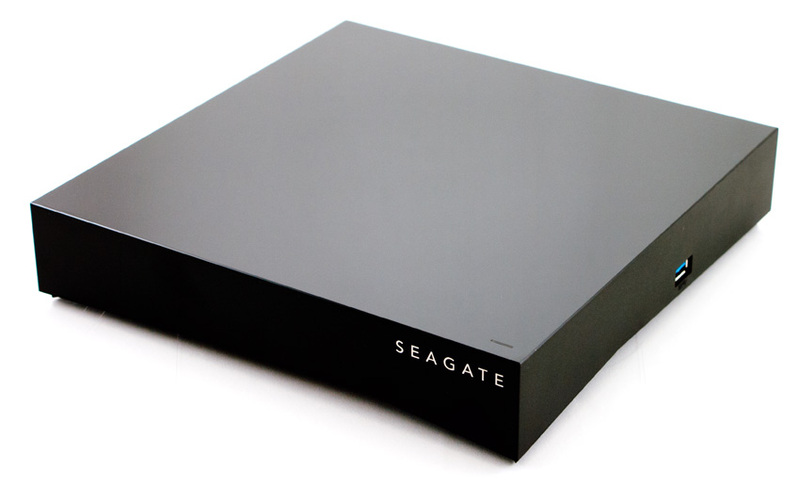 Other features of this Seagate NAS device include RAID support, media server software, and of course, remote file access. Depending on where you purchase this device and the built-in storage capacity, the price starts from about $400 upwards. 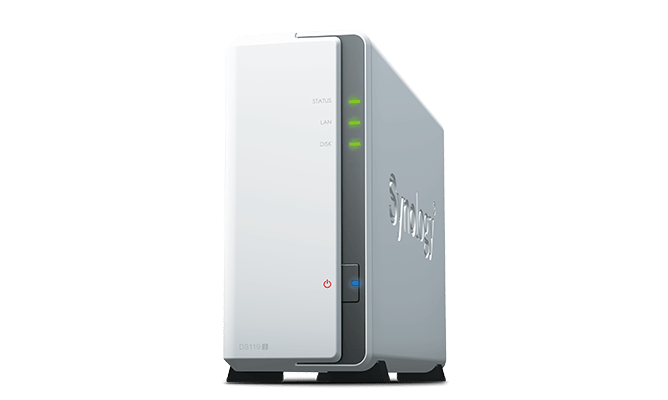 Released in 2018, the DS218+ is Synology’s flagship NAS device for home use. 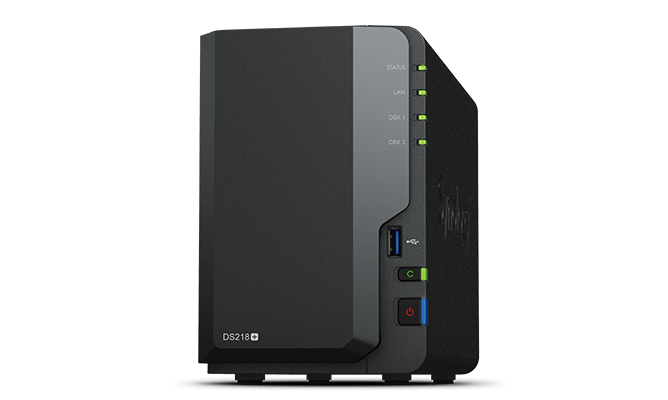 Unlike the Seagate Personal Cloud (in 1) above, this Synology DS218+ doesn’t come with a hard drive built-in but boasts of two bays, an Intel processor (64-bit), DSM OS, and an upgradeable RAM. The device is mid-range and reasonably priced but, quite sadly, comes with a single Ethernet interface. Price ranges from $280 – $300. This right here is a feature-packed NAS device that perfect for home and office use. Although it also doesn’t come with hard drives built-in, it comes with two Gigabit Ethernet ports, one HDMI out, 4GB of RAM, and an Intel Celeron CPU with dual Cor and a clock speed of 1.6GHz. In addition, it runs the QTS OS coupled with Ubuntu Linux which allows users install media and file sharing apps like Plex Media Server etc. Other features include 4K media transcoding, USB 3.0, DLNA etc. 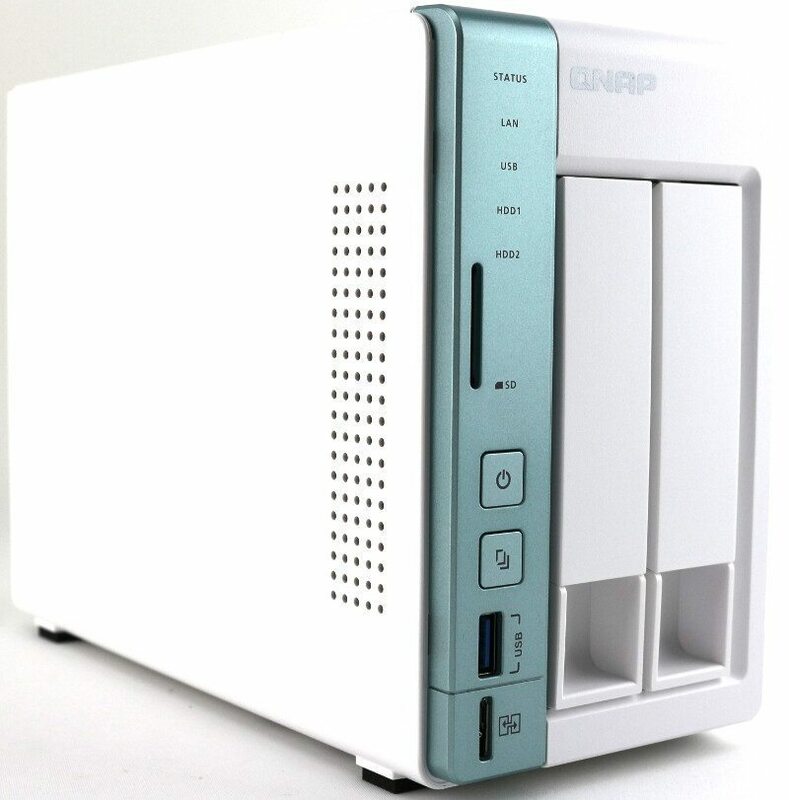 This is another Synology NAS device (model: DS119j) on this list and equally the most affordable. However, you should know that the affordability comes with at a price as some of the high-end features found on pricier NAS devices have been stripped away. For example, it only comes with a single hard drive bay, a Marvell Armada 3700 88F3720 CPU, and fixed amount of RAM that isn’t upgradeable. Irrespective of the basic nature, the device is perfect for the light storage services carried out in the home. Plus it is super budget-friendly. However, subjecting it to heavy and demanding storage tasks may result to ruffled performance. The Synology DS119 starts at just a little above $100. 1. How much storage you need or could possibly need in the future. 2. Presence of an App store to download third-party apps. If the NAS device comes with a mobile app (Android or iOS), it’s a plus. 3. CPU and RAM: the faster the processor and bigger the RAM, the more money you’d have to shell out. It is, however, worth the investment as these two features will, obviously, result to improve performances like transcoding etc. 4. Connectivity: you want to make sure the NAS device you’re picking up comes with a Gigabit Ethernet port, a HDMI output port (so you can use your NAS as a home video server by connecting to your TV), SD card slot, and USB slot. Also, having these ports at the front is preferable for easy access. 5. Remote access for easy connection to your files while you’re away from home.